Sensors can be painted to match the colour of your vehicle enabling you to benefit from the system's practicality without compromising on style. Can be installed on all types of vehicles including: motorhomes, passenger cars and commercial vehicles. 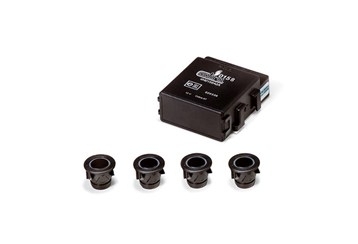 Complies with ISO 9001 standard and ISO 17386 for 2004, specific to low speed manoeuvres. We offer an installation service for customers in the STONEHOUSE, STROUD, GLOUCESTER, CHELTENHAM and GLOUCESTERSHIRE areas.